Leading edge WordPress spam protection, with NO CAPTCHAs, challenge questions or other inconvenience to site visitors. This plugin works silently in the background, and simply makes WordPress spam disappear. Supports: Contact Form 7, Gravity Forms, Ninja Forms, JetPack Contact Forms & Comments, BuddyPress, bbPress, WooCommerce, s2Member, WP-Members, Mailchimp, Fast Secure Contact Form, Formidable Forms, almost all WordPress forms, and almost all WordPress registration forms. Automatically! If you want to improve the user-friendliness of your site, this is THE anti-spam plugin you want. After all, why should your users have to prove they are human? Since your users won’t be inconvenienced by outdated and frustrating anti-spam methods, you will provide a smoother, trouble- experience for your website users, which leads to improved readership, ad revenue, sales, or other types of conversion, and therefore greater success for your website. Includes drop-in spam- contact form, with easy one-click installation. Easy to use – no configuration necessary, but you can configure it if you like. (See Installation for info.) 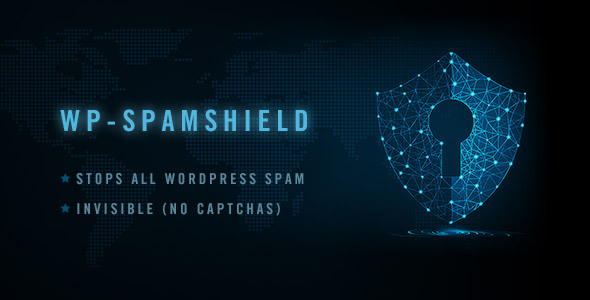 WP-SpamShield also includes automatic anti-spam protection for Contact Form 7, Gravity Forms, Ninja Forms, JetPack Contact Forms, Fast Secure Contact Forms, Formidable Forms, and more. (You don’t have to do a thing…just add your Contact Form 7, Gravity Forms, Ninja Forms, JetPack Contact Forms, or other forms to your site, and they will automatically be protected.) It will automatically protect most forms on your WordPress site from automated spam, even if they are not listed here. This plugin is legal to use in Germany and the EU, and does not violate European privacy laws. It does not use any type of cloud-based service, data is not transmitted from your server to any other server, and all anti-spam processing happens directly on your website’s server.